Founded in 1823, Lascaray S.A. is one of the oldest companies in Spain, and the one with a longer trajectory in our region, Alava. Throughout its almost 200 years of life, the company has diversified its activities, adapting itself to new technological requirements and moving with the times in order to respond to changing tendencies in different markets. The beginning of it all takes us back to 1823, when Juan Bernardo Lascaray arrives to Vitoria from Ciboure (France) and rents a small factory in order to start the manufacturing of tallow candles. Casimiro Lascaray, the second generation of the family, starts up in 1855 a new factory, under the name of “La Estrella Alavesa” (The Star from Alava) –LEA– , and starts manufacturing stearic based candles and oleic soap. The company sets a foot in the sector of “soaps and detergents”, beginning to product a soap called “Marfil”. In 1885, Félix Lascaray succeeds his father in the company management and consolidates the industrial project. In 1905, the factory is burnt to ashes in a devastating fire, ruining the effort of decades in one night. However, in two year time (1907), a new factory is built up where the former was, extending its capacities and pioneering in the use of new chemical techniques imported from Germany, such as pressure splitting, hydraulic pressing, glycerine recovery, etc. Back to those times, Lascaray present configuration is already profiled, splitting the company in two: Fatty Acids distillation and soap manufacturing. In the early 20s, and led by the fourth generation of the family Lascaray, new processes and procedures help, under the brand Products LEA, Lascaray extended its activity, beginning with the manufacture of shaving products. 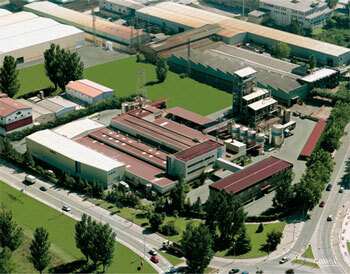 Between 1973 and 1975, our facilities are moved to a new location in the suburbs of Vitoria, the industrial area where the current Headquarters of the Lascaray Group remain. 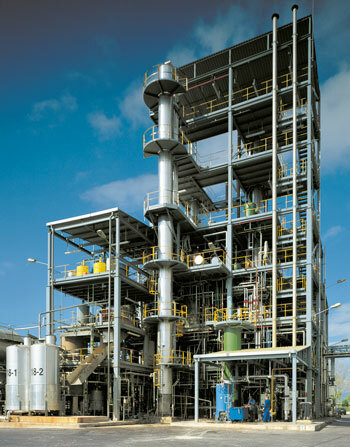 During the 90’s and under the management of the fifth generation of the family, Lascaray S.A. expand its installations of splitting and distillation by three its manufacturing capacity. Nowadays, Lascaray S.A. is still lead by the sixth generation of the family that began the business, keeping its two main business units. The Cosmetic Division and the Oleochemical division focus on fatty Acids and derivates based on both animal and vegetable origin.